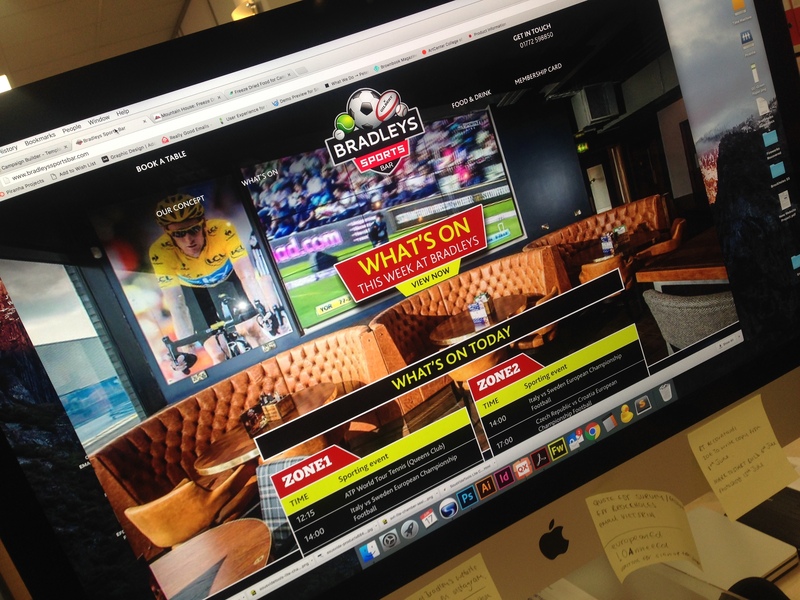 Piranha is pleased to announce the launch of a brand new website for Bradley’s Sports Bar in Kirkham. Not only do they offer a great range of drinks, both alcoholic and non-alcoholic, you can also enjoy a great range of quality food. In addition to this you can also book a seat in one of the four sports viewing zones, ensuring you have the best possible experience when watching your favourite sporting event. The website has been designed to give a true sporting feel, reflecting the atmosphere that you will experience when you take a trip there. You can peruse the drink and food menus, book a table and even sign up for your Mill farm membership. The Bradley’s sports bar website shows this venue as a truly unique location that is set to become a true favourite with both locals and people travelling from far and wide. If you think your business could benefit from a new website or you want to upgrade your existing one, we would be more than happy to help. Please call 01772 888 331 or email digital@piranha-solutions.com to find out more.